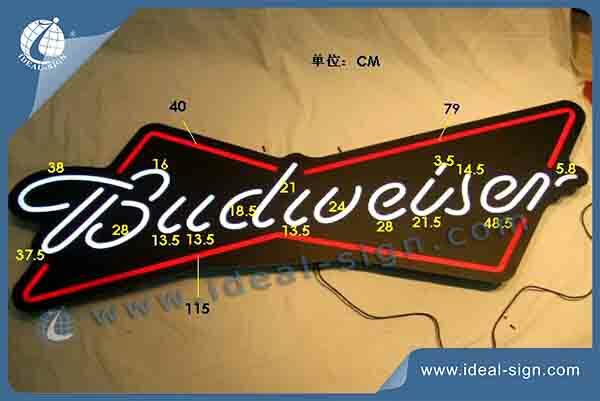 We are searching new ways to make this bud light neon sign. LED would be the perfect choice. It is simple and nice and cost less. With special pens, we printed the logo front on the panel; and LEDs are built inside the back panel case.